In a life that is short we are living our dream and sharing our passion so your heart may sing as you relive your memories through the photography we create for you. Our manifesto has been crafted so we can share with you what inspires us, drives us and makes us tick. We demand excellence from ourselves and this ethos is why Tandem exists. Neil is an international, award-winning portrait and wedding photographer, who makes beautiful and authentic images that go beyond the visual story. His compelling photographs are renowned for their artistic vision and narrative intent, helping convey the emotions and connections that bring life to a still moment. Holding both the title of Fellow, and Master of Photography with the New Zealand Institute of Professional Photography (NZIPP), Neil has a creative legacy that gives his clients the confidence they need when ‘s behind the lens. In 2015 he was invited to the World Photographic Cup in Montpellier, France where he earned a top 4 distinction of the 2015 Best Wedding Photograph in the World. As the co-owner of Tandem Photography, Neil, along with his wife Katherine, has a portfolio that showcases not only his creative talent but his relaxed approach to photographing people. Katherine is an award-winning portrait and wedding photographer who specializes in capturing the spirit and personality of her clients. Whether it’s a dramatic scene or an emotional moment, she creates photographs that draw the eye making creative work that is both striking and thoughtful. As a Master of Photography, Fellow, and President of the New Zealand Institute of Professional Photography (NZIPP) Katherine is as accomplished as she is experienced. Year after year her clients and peers regard her work as industry-leading; her most recent major accolade is the prestigious 2016 Epson/ NZIPP New Zealand Professional Photographer of the Year. 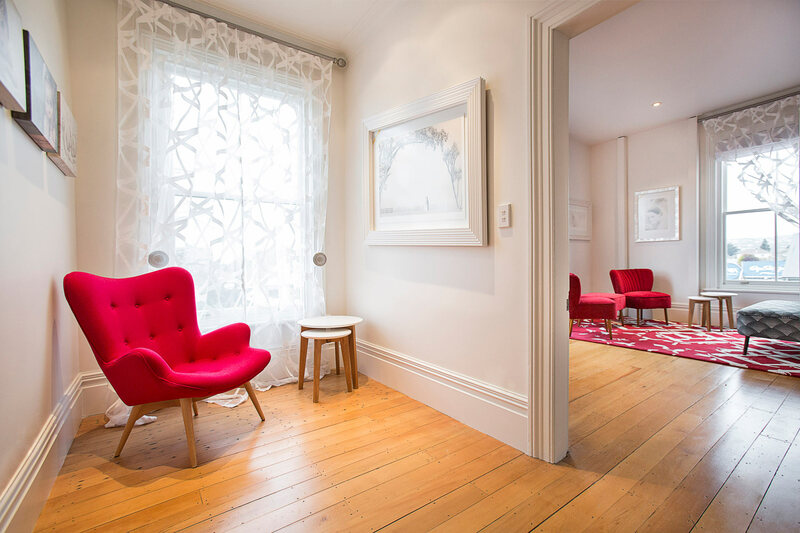 As the co-owner of Christchurch-based Tandem Photography, Katherine, along with her husband Neil, has built a body of photographic work that puts their clients at ease and gives them confidence in the creative process. She is a consummate professional who takes photography beyond a technical craft-producing truly inspiring photographs that get noticed. Outside of professional photography, Katherine chases after her two gorgeous daughters and is serial hostess, enjoying great friends, food, and yes some Pinot Noir. Excellence in our offerings is paramount to us. Everything we create, do, and the products we select to source are based on the pride we take in our craft and a desire to give you the very best quality. Our manifesto drives what we create for you and is the why behind what we do. If our words and favourite quotes resonate with you the way they do with us, then lets talk. Head on over to the wedding and portrait pages to read a little more about why you should choose us for capturing the special moments in life. 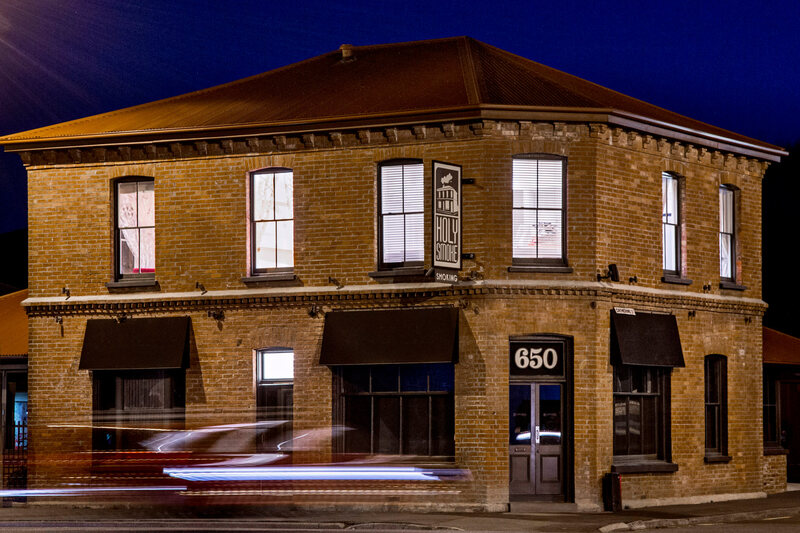 Just minutes from the Christchurch CBD In an exciting and evolving part of the city where some of Christchurch’s heritage buildings have been brought back to life, lies the Holy Smoke Building…. …Over 100 years old this great piece of Christchurch’s history has been strengthened and lovingly restored with exquisite attention to detail. Tandem Photography’s luxury studio is located on Level One. 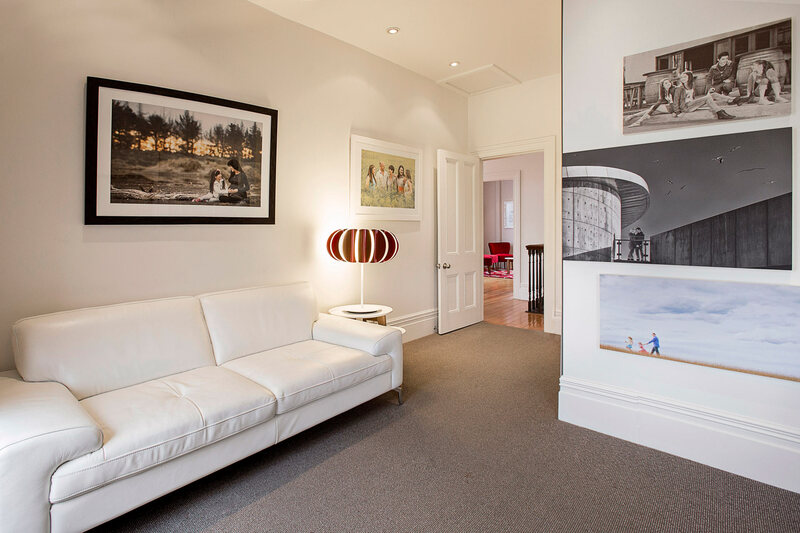 When you walk through the door of our studio you will welcomed into a luxurious space to relax in, where the process is made so easy for you. 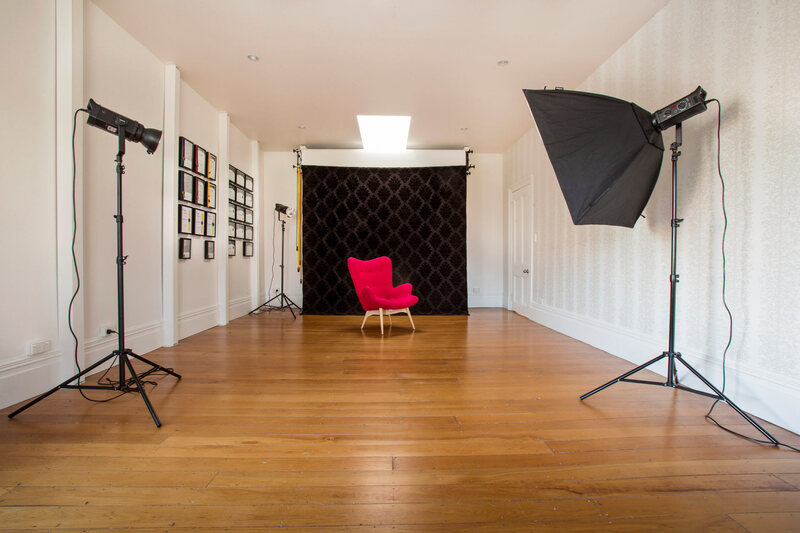 With a large shooting space, with gorgeous timber floors, high ceiling and elegant windows the Tandem Photography studio is a dream to shoot in and creates gorgeous photography for you. The studio also holds a dedicated viewing room where as a wedding or portrait client we love to blow your mind with a breathtaking cinematic slideshow presentation. We’d love you to come and say hi! Does it sound like we are the right people for you? We’d love you to get in touch.